RØDE Microphones film competition, My RØDE Reel, is now in its fourth year. Established in 2014, it’s rapidly grown to become the world’s largest short film competition. With close to 8,000 entries from 89 countries, it’s become a staple amongst the global filmmaking community. This year, the competition is back with a massively increased prize pool of more than $500,000 worth of equipment up for grabs. These prizes include one completely new one, membership to the RØDE Directors Club. 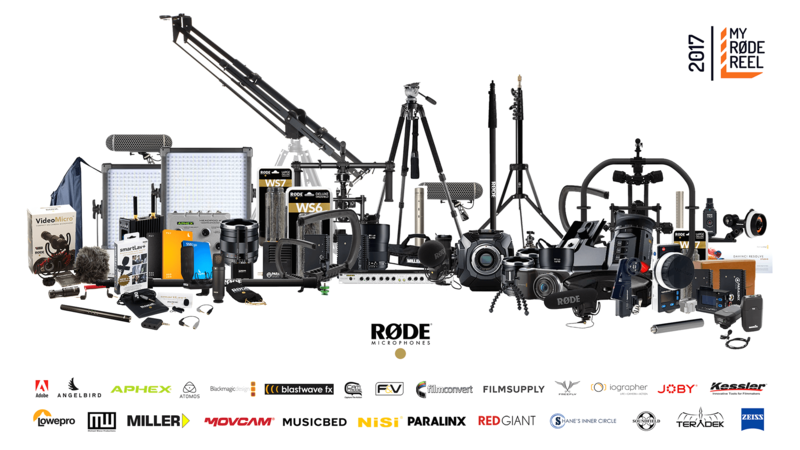 This could net you every new broadcast and filmmaking category microphone that RØDE release for the next three years, and you get them before they’re even launched. One day, while a film student Anthony van der Meer had lunch in Amsterdam, his iPhone was stolen. By the time he realized it and went to the police, it was already too late. Anthony was not that stressed about the fact that he’d lost an expensive phone. What made him particularly uneasy was the fact that a stranger had access to all his photos, videos, messages, emails and contacts. And it made him wonder – what kind of person would steal a phone? And where do these phones end up? These questions led to an idea. He decided to discover it himself and make a short movie about it. The result is stunning, but the method is ethically questionable to say the least.